Once again, here we are looking back at another great year in cinema. They’re all great years, of course. Anyone who couldn’t find anything good to watch in the past 12 months is either a fool or a coward; there are always excellent films to be found – you don’t have to settle for the A Good day To Die Hards and Grown Ups 2s of this world. As is our custom, let’s dispense with the notion of a Top 10 list and take a look at some of the better films that hit Australian screens in the last year. If you saw these, you’ll remember them fondly. If you didn’t, you could do worse than track them down if and when they hit the home market. 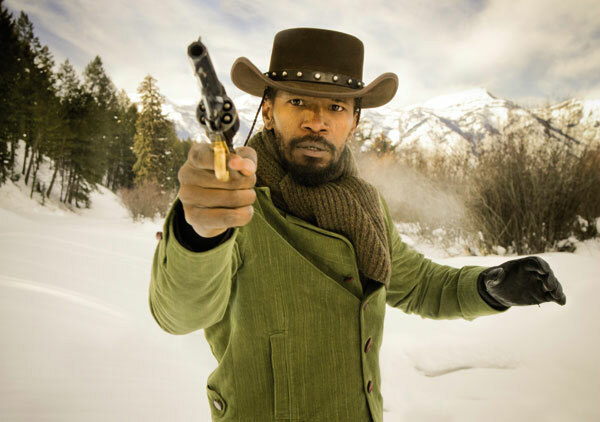 Django Unchained: Tarantino goes west – and south – in this blood-drenched, angry but still playful tale of the titular slave turned bounty hunter (Jamie Foxx) and his cheerfully deadly German mentor (Christolph Waltz, who scooped up his second Oscar under Tarantino’s direction). Pacific Rim: Guillermo del Toro taps into the eternal 10 year old that lives in every heart with this robots versus monsters epic. Some people complained about the film’s realism. These people are idiots. Blue Jasmine: Perhaps the biggest surprise in Woody Allen’s latest was that, in an ensemble that included Cate Blanchett, Louie C.K., Alec Baldwin and Peter Sarsgaard, Andrew “Dice” Clay got the most acclaim for his performance. Zero Dark Thirty: This searing, insistent account of the hunt for Osama Bin Laden from action auteur Kathryn Bigelow proves that she is the most interesting thriller director currently working. An uncompromising and divisive work that everyone should see. Cloud Atlas: While not one hundred per cent successful, this wildly ambitious adaptation of David Mitchell’s complex novel by The Wachowski siblings and Tom Tykwer gets bonus points for sheer creative balls. While it didn’t do as well as it could have at the box office, this is a work that will be rediscovered and re-evaluated down the track. The Spectacular Now: The best teen dramedy since John Hughes and Cameron Crowe were at the top of their game features a star-making turn from Miles Teller. Funny, poignant and true. Rust And Bone: French filmmaker Jacques Audiard’s account of love, loss and redemption will knock a hole right through you. A career-best performance from Marion Cotillard anchors this raw, emotional story of a disabled whale trainer and an underground fighter finding their place in the world. Blackfish: Speaking of whales, this investigative documentary into captive Orca attacks on humans will change the way you look at marine parks forever. As gripping as any fictional film released this year. Mystery Road: Ivan Sen’s desert noir is easily the best Australian film of the year, examining notions of race, class and poverty with an unflinching eye. It also features one of the best action climaxes in recent memory.